How states are, and are not, fighting back. Many sovereign citizens file liens in the billions and trillions of dollars, and Louisiana has given the court the power to fine them for exactly that amount. Independence Day 2015 in Oakridge, Tennessee, ended in grief and chaos after 65-year-old sovereign citizen Lee Harold Cromwell rammed his truck into a crowd of people at a Fourth of July fireworks show. According to witnesses, Cromwell accelerated backward hitting eight vehicles and injuring 12 individuals, including James Robinson who died from his injuries. Three adults and six children with non-life-threatening conditions were taken to the hospital. Cromwell remained in his vehicle after the accident, talking on his cell phone until a police officer came to question him. When asked for his driver’s license, Cromwell told the officer he had returned it to the state because he didn’t need it, and the reason why should have been a warning to the officers, and the court system of what was to come. Cromwell’s license was suspended in 2014 after he challenged a speeding ticket by sending the court a dollar bill and a letter titled “Affivadit” and “Denial of Corporate Existence” In the letter, he referred to himself as “Lee-Harold: of the family Cromwell” and “Living Man with a Conscience” and said he “denied the … corporate existence” of the country, state and various government agencies. Police arrested Cromwell the next day. He was eventually charged with one count of vehicular homicide and eight counts of aggravated assault, but not before creating a commotion among Anderson County’s legal and law enforcement communities. During Cromwell’s trial, he filed an $8 million lien against Donald Elledge, the criminal court judge assigned to his case. Elledge recused himself. Then Dave Clark, District Attorney for Anderson County. was forcefully recused by Elledge’s replacement, Judge Paul Summers, after Cromwell filed a frivolous lien against him. Cromwell also filed liens against his arresting officer, Oak Ridge’s chief of police, another prosecutor in the district attorney’s office and the circuit court clerk for Anderson County. Although this was a new experience for Anderson County, public servants are regularly targeted by sovereign citizens with an axe to grind. This is because sovereign citizens believe they reside outside the jurisdiction of the government and are therefore above the law. And once they are fined, arrested or incarcerated by a government they consider illegitimate, sovereigns are often adversarial toward the agents of that government, namely its public servants. This sort of vengeance — where sovereign citizens use legal loopholes in order to circumvent the law — is known as paper terrorism. The primary weapon in their arsenals, as illustrated by Cromwell, is the lien. Typically filed by individuals or businesses that are unable to collect on a genuine debt, liens can force the sale of a property in order to satisfy the debt or alternately, prevent an owner from selling their property until the issue is resolved. The removal of a lien is a complicated process that often takes the work of attorneys, and a year or more before it is successfully discharged, and can ruin someone’s credit in the interim. Some victims have gone bankrupt as a result of these actions. In addition to liens, sovereign citizens also file bogus lawsuits against people they perceive as enemies, falsely report their foes to the IRS for failing to disclose all of their income and file fabricated criminal charges against them. Sovereign citizens are also utilizing get-out-of-debt and get-rich-quick schemes, filing fictitious financial documents, such as false bills of credit, bonds, and bills of exchange, which are essentially fake checks. These actions hurt the government, wasting their time and resources, and costing the taxpayers money. Sovereigns are aware of the leviathan power they yield against public servants, other individuals and the government when they file these fraudulent documents. In a number of jurisdictions they can enact revenge without consequence, free to harass and intimidate their arresting or corrections officers, the judge presiding over their case or a bureaucrat who has upset them in some way. In 2013, a department of corrections commissioner in Minnesota was forced into personal bankruptcy court by a sovereign citizen with an ax to grind. In 2016 an Idaho department of transportation worker was taken to court and sued for over $6 million for refusing to reinstate the license of a sovereign citizen with no auto insurance. The same sovereign sued a prosecutor and county clerk for $1.4 million. In 2017, a group of anti-government individuals in Colorado, calling themselves a people’s grand jury, sought to influence specific cases by threatening to file liens and criminal complaints against public servants unless they dismissed the cases or resigned. The Quall family of Nolensville, Tennessee, was terrorized by sovereign citizen Leighton Ward after they bought a property belonging to his mother. Ward claimed the family was trespassing. He filed a judgment against the property, claiming the sale was improper. Despite his preposterous allegation, his claim is legally attached to their property title and can negatively affect them if the family decides to sell. These are four examples among thousands and states are finally starting to recognize paper terrorism and enact legislation to prevent it. Astoundingly, the federal government has just one law on the books which only protects federal judges and law enforcement, and approximately one-quarter of U.S. states still have no laws on the subject at all. The remaining states have enacted laws or have laws pending in their legislatures. Most of the laws which have been passed are reactionary, drafted only after public employees in the state were personally affected by a false filing. This is also true of amendments to existing laws, which are made after sovereign citizens commit a form of paper terrorism the initial state law did not cover. Some states possess laws which consider it illegal to hinder or harass any of its residents by filing false financial documents against them. These include California, Florida, Maryland, New Hampshire, South Carolina and Virginia. If the Qualls had been residents of one of these states, the judgment Ward filed against their home would have been considered a crime. In Tennessee, where they reside, no law covers fraudulent filings against residents who are not employed by its state or local government. In short, they are not considered victims of paper terrorism by Tennessee standards, so they are out of luck. In most states, the filing of false documents is only a crime when they are filed against a public servant with retaliatory intent. Michigan covers current and former federal, state and local officials and employees, and West Virginia covers all of those categories while they are still in the employ of the government. New Jersey covers current and former public servants, federal employees, their families or estates. Nevada covers people involved in official proceedings, their families, public officers, employees and candidates for public office. Arkansas includes judges from all 50 states and U.S. territories, as well as Arkansas court personnel. Florida, where sovereign activity is extremely prevalent, includes claims against subcontractors and sub-subcontractors. Other states’ legislation contains a variation of the many subgroups, often including judges, public officials and law enforcement officers. A small number of states, including Colorado, Ohio, Utah, Mississippi and West Virginia possess legislation that works proactively, seeking to prevent paper terrorism, rather than purely punishing it after the fact. These states allow recording clerks or secretaries of State to deny filings that look fraudulent. In addition, West Virginia makes it mandatory for county clerks to hang a sign with large letters in an area where the public will see it, stating that filing a frasdulent court record or instrument is a crime. Under Virginia law, its filing office can reject a filing if it looks materially false. South Carolina recorders can discard a filing, providing they alert the filer of their suspicions, and give them 30 days to appeal the denial in state court. Iowa, Nebraska, North Dakota and Idaho can reject a filing by any person who names themselves as both the debtee and the debtor on their forms. Some sovereigns do this because they ascribe to a conspiracy theory known as “redemption” where they believe this will allow them to dip into a secret government account meant just for them. In Indiana, all liens which do not progress into a lawsuit within 30 days become null and void. Illinois protects their public officials from sovereign harassment by withholding their addresses from the public record and redacts them on government forms. Some laws only cover the filing of fraudulent liens, while others cover false recordings of any and all financial documents. Florida, New Jersey, New York and South Carolina are among the most expansive, covering a variety of offenses including false liens, affidavits, invoices, valueless checks, mortgages, contracts and more. Punishments for these crimes vary a great deal. Some states have no punitive element to their laws. Others only allow for civil damages where victims can sue for court costs and other expenses. A few consider the filing of false encumbrances or financial documents a misdemeanor. In states such as Florida, Indiana, and Tennessee, paper terrorism carries a felony charge, and a few states use a graduated system where the first offense is a lesser charge, but penalties increase if a sovereign commits additional transgressions. Financial penalties also differ greatly from state to state. In West Virginia, a first offense is fined at no less than $100 and no more than $1,000. Tennessee fines up to $3,000. Georgia levies a maximum fine of $10,000, and West Virginia’s fine is up to $10,000 for anyone charged with a subsequent offense. Louisiana has enacted what could be considered the most imaginative penalty. Their law states that “Whoever commits the crime of filing a false lien against a law enforcement or court officer shall be fined not less than five hundred dollars nor more than the amount of the value of the false lien or encumbrance.” Many sovereign citizens, like Cromwell, file liens in the billions and trillions of dollars, and Louisiana has given the court the power to fine them for exactly that amount. Florida has the only state law which allows for the prosecution of individuals who direct others to file false liens and financial recordings. What many laws lack is assistance for the victims of paper terrorism. Alabama, Idaho, Illinois, and Maine are among states who expedite lien removal for the victims. Florida provides legal representation to public servants and possesses the legal right to freeze or seal false records. And a number of states allow the victims to pursue civil damages, but it can be a long process which is not always fruitful. No one should be harassed in the course of their work or have to defend themselves against paper terrorism. Yet many people, especially public officials and employees have been forced to. The increasing number of laws prohibiting sovereign citizens and others from conducting these kinds of campaigns is a start. But every state needs to enact legislation to fight back against paper terrorism because the sovereign citizen’s movement is not disappearing any time soon. The Federal Bureau of Investigation stated in 2011 that “the sovereign-citizen threat likely will grow as the nationwide movement is fueled by the Internet, the economic downturn, and seminars held across the country that spread their ideology and show people how they can tap into funds and eliminate debt through fraudulent methods.” And without good, enforceable laws against paper terrorism — drafted with an eye on preventing it and holding the perpetrators accountable — there will be additional victims in the future. Officer Bill Evans stopped a minivan on Interstate 40 as Officer Brandon Paudert provided backup. The driver, Jerry Kane, had no driver’s license, the car was not registered to him, he had drugs in his possession and outstanding warrants. As the officers were patting Kane down, the passenger leaned out the window and opened fire on Evans before exiting the vehicle and shooting Paudert from behind, killing them both. The shooter was Jerry’s 16-year-old son Joseph. He and his father had been traveling around the country offering sovereign-laden seminars on how people could avoid foreclosures, and were generally averse to the law. Father and son left the scene and were spotted a short while later at a Walmart where Jerry was attempting to remove the minivan’s license plates. A gunfight ensued between law enforcement and the Kanes. Two officers were wounded and the Kanes were both killed. After Officer Paudert’s murder, his father, who was the West Memphis Chief of Police dedicated his life to promoting awareness of sovereign citizens and the potentially violent threat they pose to law enforcement and ordinary citizens. A ragtag group of sovereign citizens made their way to LaPlace in 2012 where the men worked at a local oil refinery. This included Terry Smith and his two sons, Brian and Derrick, and their family friend, Kyle Joekel. On August 16, the men were leaving work when Sheriff’s Deputy Michael Scott Boyington pulled their car over. Terry Smith, who was driving, gunned it and took off. As Boyington gave chase, one of the people riding with Terry shot the deputy repeatedly with an AK-47. Notified that the suspects had driven to a local mobile home park, Deputies Brandon Nielsen, Jeremy Triche and Jason Triche headed straight there. The officers found Joekel outside and cuffed him, then questioned two more men when a third began shooting out a trailer door. During that time, another defendant also began shooting, going as far as to shoot Terry Smith’s wife who had thrown herself over one of the officer’s body in an effort to protect him. Deputy Jason Triche was shot in the back, but survived after spending a month in a medically-induced coma and undergoing 29 surgeries, including a kidney transplant. His new kidney was donated by a brother in blue, St. Tammany Parish Deputy Andre Ardeneau. Brandon Nielson and Jeremy Triche both died from their wounds, leaving behind grieving parents, spouses and children. The gunmen, Brian Smith and Joekel were also shot, non-critically, and charged with first degree murder. Both men may be facing the death penalty. Terry Smith was charged as a principal to attempted first-degree murder. Derrick Smith, who was in the car during Deputy Boyington’s shooting, but did not participate in the mobile home shootout pled guilty to accessory after the fact to attempted first-degree murder and possession of a firearm by a convicted felon. Terry Smith’s wife Chantal and Brian Smith’s girlfriend Britney both pled guilty to accessory charges. On the morning of September 4, Officer Youngstrom went to assist another officer on an Interstate traffic stop. The car was being pulled over for an obstructed license plate. Youngstrom approached the vehicle as the other patrol car was parking and had a short discussion with the motorist. As the officer spoke, the driver pulled out a gun and shot him in the head. Youngstrom’s patrol partner reacted swiftly, pulling his own gun as he ran toward the shots and fired at the driver. Both Youngstrom and the shooter were transported to a local hospital where they were later pronounced dead. 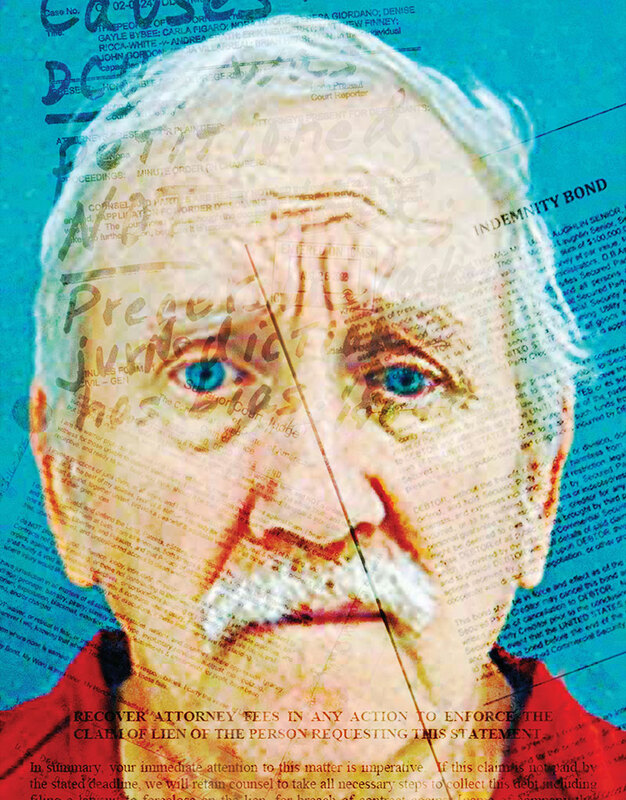 After his death, authorities searched the home of the killer Christopher Boone Lacy, and found libertarian and sovereign citizen literature, research on building explosives and a wish list that included bullet proof vests. Youngstrom was surrounded by friends and family before his passing and had a memorial service with thousands of people in attendance. This included his wife and children, and California’s Governor Jerry Brown. Youngstrom, whose devoted his life to keeping people safe, continued that tradition by donating his organs to four individuals on transplant lists, including a 29-year-old mother and 50-year-old father of four. “We can prepare for peace. We must, however, prepare for war”… wrote sovereign citizen Jerad Miller a week before he and his wife gunned down two police officers at a Cici’s Pizza in Las Vegas. The couple believed the U.S. government was tyrannical and police were the “oppressors.” In April 2014, the Millers joined the Bundy standoff in Bunkerville with these notions in mind. In June, Jerad and his wife Amanda decided to act on their beliefs, and spent the morning of June 8 in Las Vegas searching for cops to execute. The couple wore adult diapers and carried supplies, including four handguns and a shotgun. Hours after they began their mission, the Millers spotted Officers Igor Soldo and Alyn Beck of LVMPD having lunch at a pizza buffet and shot them both without warning. Then they draped swastikas, a Gadsden flag and a note that said “this is the start of the revolution” over the two men’s bodies. The Millers bolted from the restaurant and entered a nearby Walmart. The couple paced the aisles before killing a bystander who was attempting to stop them and getting into a firefight with police who had arrived on the scene. Jerad was killed in the standoff and Amanda, surrounded by law enforcement, turned the gun on herself. July of 2016 in Baton Rogue was not only hot, but tensions were high after the police shooting of Alton Sterling, an unarmed black man on July 5. The week following Sterling’s death, protestors had been out in force and police were on guard. But the crowds had dwindled by July 17, replaced by gatherings of community leader’s intent on finding ways to move forward. This made the ambush of three officers by a sovereign who was angry over police shootings all the more jarring. A call had come into dispatch about a man dressed all in black who was next to a beauty supply store and carrying a weapon. Officers who arrived on the scene were gunned down. Montrell Jackson and Matthew Gerald of the Baton Rogue Police Department were shot first and Brad Garafola of the East Baton Rouge Sheriff’s Office was killed as he tried to save them. The shooter, Gavin Long was killed by an officer who arrived on the scene. According to the Baton Rogue police chief, had Long survived after the initial ambush, he planned to continue his shooting spree. "I have no doubt”, the chief has said that “he was headed to our headquarters and he was going to take lives." Long, a veteran, had driven from Missouri to Baton Rogue a few days before the shooting. He was also a member of the Washitaw Nation, a group of black sovereign citizens that claim its descendants are indigenous to America. They also believe that most of the land sold in the Louisiana Purchase belonged to the Washitaw and demand its return, despite their being no historical record of this. They sell birth certificates, identification cards and vehicle registrations to their members. They are also paper terrorists who make fraudulent financial documents and file false liens. The officers killed by Long were all fathers who have been described as great men with pride in their jobs; humble, kind, and helpful.